It’s important to call the experts when it comes to your home gas plumbing. Unlike minor problems with your water pipes that can be temporarily fixed by DIY solutions until you can call your local house plumber, gas pipes are a different story. They may be made from similar materials as water pipes, but handling them requires a bit more care. That’s because a leaking gas line presents more considerable threats to your home safety as well as your health. Calling a local plumber to handle the installation or repair of your gas line is important because they have the appropriate licenses to do such a job. A plumber from a different location might have the same training and skills but they might not have the necessary permits to perform such a job in your suburb. Local plumbers are also more knowledgeable about regulations and other requirements, so you are sure that whatever work they will perform will be in complete compliance of the rules. Another reason to call a local plumber to handle your home gas plumbing is that they can come to your place much more quickly. This is especially crucial to prevent life-threatening consequences that may be caused by leaking or broken gas pipes. What’s more, a local plumber will also be able to give you competitive rates so that you are guaranteed fair prices that will not put such a huge dent on your home budget. 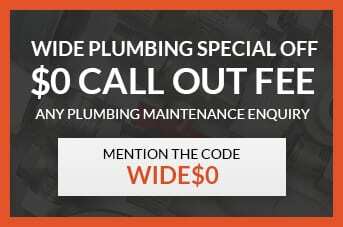 Call Wide Plumbing Services at 0419 012 750 or send us an email at centralwideservices@gmail.com if you ever find yourself in need of home gas plumbing services in the Central Coast. You can rest assured that we will get there quickly and perform our jobs promptly, to ensure that you can use your gas-based appliances and home features safely. You can rely on us to give you honest prices and quality services, no matter how big or small the job. We are also happy to accommodate your enquiries about our wide range of plumbing services. Local plumbers in the Central Coast usually charge a call-out fee and a per-hour rate of $75 to $225 for home gas plumbing installation. For repairs or replacements, you can expect similar fee. All of this depends on the amount of work and the cost of the parts. Don’t hesitate to ask your local plumber if you need any clarifications on what is included in the fees that they are charging you. The best thing to do is to call your local plumber as soon as you notice any signs of a gas pipe leak to prevent further and costlier damage. You should also make it a habit to have a routine inspection of your home gas plumbing so that you are sure that everything is in good shape. Indeed, it is cheaper to have your pipes checked regularly than have to deal with repairs or replacements because your gas plumbing is not properly maintained. Wide Plumbing is not only qualified to deliver services for your water and sewage pipes, we also have the appropriate licenses, necessary skills, and ample training to handle home gas plumbing issues. Rest assured that we will accomplish our job in the fastest, most cost-effective way for your peace of mind and safety. We promise that any repairs or replacement parts to your gas plumbing is suited to your home’s structure and location, and that they will last for a long time. We also guarantee that not only will we deliver top-notch workmanship every time, we will also take care of your home. You can count on us that we will maintain your home’s cleanliness, and we will leave it in excellent condition after we’re finished with our jobs.